As part of ambitious plans to revamp the major transport hub at the heart of the UK’s second city, new office buildings will replace the station’s multi-storey car park in order to create what’s been dubbed as ‘Birmingham’s Canary Wharf’. Once complete, the Snow Hill refurbishment will reshape Birmingham’s skyline and transform the front of St Chad’s Queensway - one of the most prominent gateways to the city centre. Aggregate Industries was awarded the contract to supply ready-mixed concrete to the largest ever city centre office scheme built outside London by Thames Formwork under main contractor, BAM Construction. As one of the biggest slipform constructions outside the capital, a key challenge of the £90 million project was that work had to be completed during the colder winter months. The natural choice was to use Aggregate Industries WeatherMix, a concrete solution specifically designed to tolerate colder conditions than standard mixes. Approximately, 6,000m3 of WeatherMix as well as standard concrete and 11,000m3 Strike® - one of Aggregate Industries high early strength concrete mixes – were supplied to the project throughout the 2017 winter period. The revolutionary WeatherMix product, together with Strike, enabled the contractor on the site to extend the construction season and work throughout January and February, during which Birmingham experienced 24 working days where temperatures fell below 4°C degrees. As a result, WeatherMix allowed Thames Formwork to continue to construct with confidence during this period, playing a vital role in the project’s success. Daniel King, Aggregate Industries General Manager for the Midlands & North, said: “The ambitious regeneration of the Snow Hill site will create what has been coined as ‘Birmingham’s Canary Wharf’, providing much needed office space in the heart of the city. Wayne Rock, Construction Director at Thames Formwork, comments: “With a project as difficult and complex as this, it was very important for us to work with a concrete supplier that could help us work through the winter months and stay on track for completion. With excellent workability, and pumpability characteristics, WeatherMix is ideal for projects with complex formwork. Available in high-early strengths, the product provides advanced finishing characteristics for flatwork and cast systems, where finishing times are comparable to concrete placed in ambient temperatures. The Snow Hill project is the latest in a series of contracts Aggregate Industries’ has secured to supply concrete to Birmingham’s city centre regeneration. 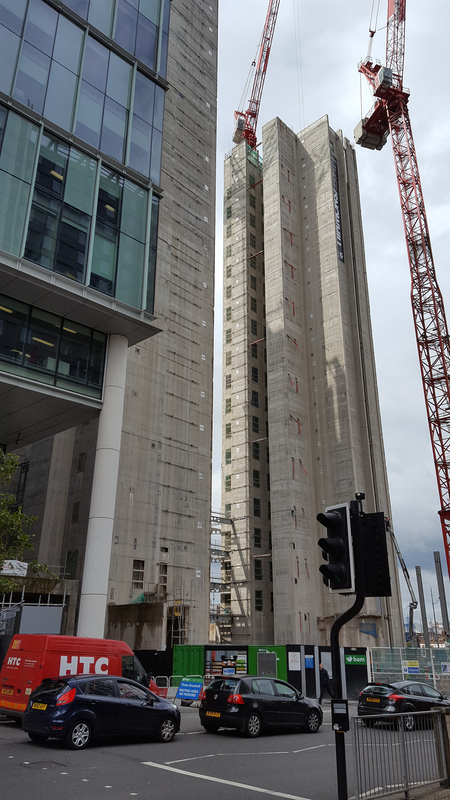 Most recently, working with contractor MPB Structures, Aggregate Industries supplied a combined 28,000m3 of ready-mixed concrete for the Arena Tower residential development and Arena Central – the new landmark headquarters of UK banking giant HSBC.